Oh, you’re such a Suzy Homemaker. A real Donna Reed, Carol Brady, Martha Stewart-type. You always have cookies in the oven, nutritious fresh fruit ready for the kiddos, and a pitcher of lemonade chilling in the fridge. So, naturally, you make your own gelatin. (The kids just got you to stop calling it “salad” recently.) And why the heck not make it in the shape of a human brain? May as well provide anatomy lessons during snack time. See, kids, here’s the corpus callosum, which connects the left and right hemispheres of the brain. Here’s the frontal lobe, associated with motor function, pleasure, and reward. And here’s the temporal lobe, associated with memory, comprehension, and emotion––we think Daddy has a small one of those. You ain’t raisin’ no scrubs! 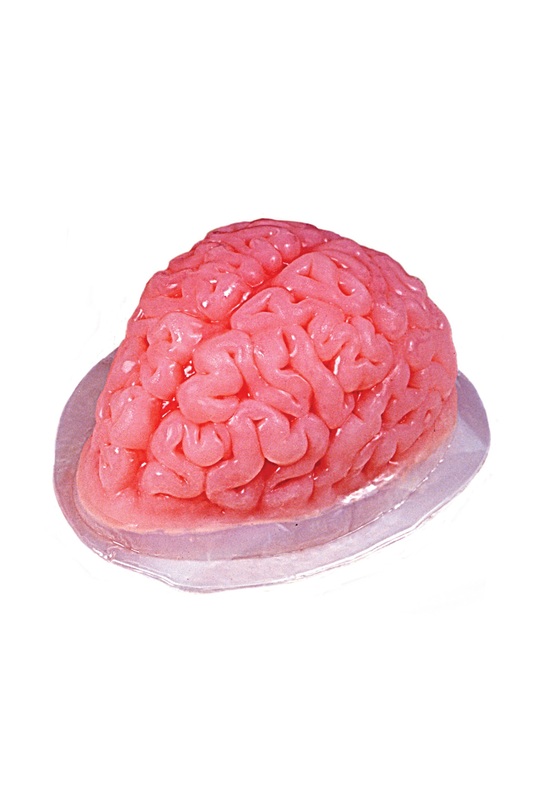 Get your little overachievers on the path to med-school as early as possible with this Brain Gelatin Mold.